Covenant's goal is to educate the whole child. That's why the experience at Covenant involves more than scholastic achievement. Developing integrity and strong character in each student is an integral part of Covenant's ministry. Students experience authentic relationships, purposeful spiritual development, and express their God-given talents in a warm, friendly environment. The annual Fall Festival is a school-wide, fun-filled event held in the fall for students, parents, teachers, and community visitors. The campus takes on a carnival atmosphere with craft booths from local artisans, advertising booths from local businesses, giant inflatables, class-sponsored game booths, and terrific concessions. Family fun is the focus of this event which promotes school spirit! One of our biggest traditions is our homecoming week and homecoming game each Fall. We welcome our alumni to join us in celebrating our heritage each year. Covenant students celebrate the week by dressing in fun, themed apparel each day, creating banners to hang in the gym, and participating in an exciting pep-rally to support the Cougar football team. The week's events lead up to the presentation of the homecoming court and the crowning of the homecoming king and queen. The week ends with a high school homecoming dance hosted by the Cougar cheer squad. Literacy Night is a themed event held each year to promote the fun that can be done while reading! Literacy and STEAM integrated activities, story time, and snacks make up an awesome night of fun for Covenant students. Towards the end of each spring semester, the elementary students participate in fun, themed activities on Covenant's field. This is a fun day in the sun for students to play and enjoy the end of the school year. 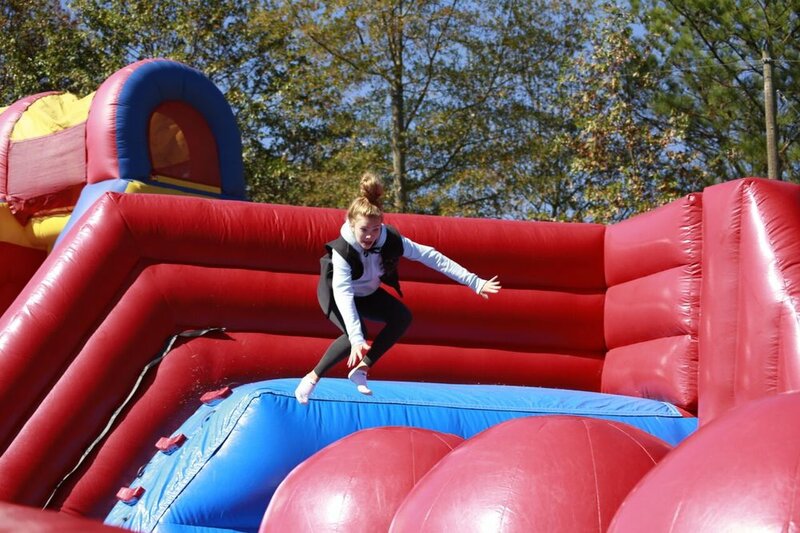 Middle school students also have a field day filled with games and activities at the end of the spring semester to kick up their heels after final exams. Covenant commencement ceremonies celebrate the potential of the future while commemorating the years past. Each graduation ceremony is filled with traditions, biblical advice, and is unique to each class. Our preschool students showcase their accomplishments at Kindergarten graduation. Our 8th grade students give thanks to family and friends who have helped them along the way, and they hear words of advice from a high school senior. High school commencement celebrates the individuality of each class, showcasing their talents and paying tribute to the family friends and teachers who supported them. Our high school graduates then pass the torch on to the next senior class.